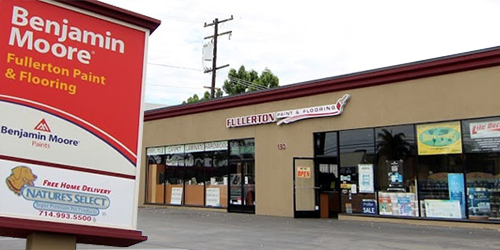 Fullerton Paint & Flooring is your one-stop shop for versatile and functional sheet vinyl flooring in Orange County. 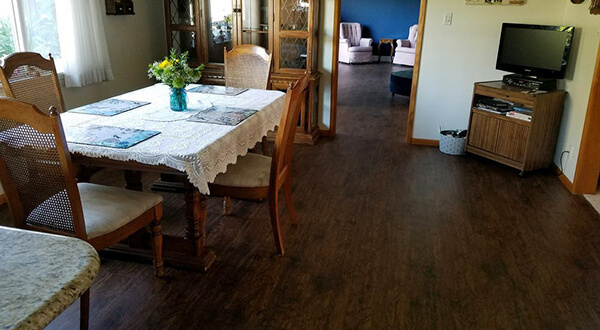 Residents throughout Anaheim, Fullerton, Yorba Linda, Brea, Orange, and surrounding areas have worked with our experts to have vinyl floors expertly installed in their kitchens, bathrooms, living rooms, and other interior spaces that could use highly resilient flooring. At Fullerton Paint & Flooring, you'll have access to hundreds of vinyl floor choices from our preferred brands: Armstrong, Flexitec/IVC, and Mannington. These brands offer vinyl floor options that can resemble either wood, stone, or ceramic flooring and range from economical to top of the line. Our broad selection ensures that we're able to meet the needs of nearly any customer, from the apartment owner looking for the best value in flooring, to the new homeowner who wants to upgrade the look of their kitchen with floors that give the look of real wood without the high maintenance. Professional installation of commercial sheet vinyl is also available in homogeneous sheet vinyl from Armstrong Flooring, like Medintech and Medintone with Diamond 10 Technology. Commercial flooring choices also include Vinyl Tile or VCT in Standard Excelon Imperial Texture, as well as Mannington Essentials. Visit our Anaheim showroom to learn more or call and set up an in-home flooring consultation. Our knowledgeable and experienced professionals will gladly answer all your questions and provide the guidance you need to get the best possible results for your budget. Excellent selection of vinyl flooring (in rolls and planks). Christian was great to help finding what I needed. I will return next time when I need any flooring supplies. Thanks guys!